WriteUp, a $4 text editor for iPhone and iPad, is packed with a lot of good ideas. The app is used to compose text in Markdown (which allows that text to be coded with links, boldface, and other options) and post or share compositions across different platforms. Unfortunately, not all of these ideas are executed successfully. Apart from composing individual documents, you can create infinite folders to organize your writing, and you can create new documents within those folders. After you start writing, choose a theme that provides the best writing conditions for your eyes; themes start with the basic black text on a white background, and include a sepia-toned theme and a white text on a dark background option. The size and style of font are also customizable, and a quick tap lets you view your entire document in full-screen mode. The second is the in-app browser, a feature that makes it very easy to do research while you write. Text can be copied (with a URL citation) and easily dropped into the document that you’re composing. iPad writers who often shift between apps to research things will enjoy this aspect of WriteUp. Another welcome feature lets you tap the screen to see what your Markdown-coded text looks like in a “published” view. You can also favorite a document, or “pin” it to make it stand out amongst various documents. Documents are searchable by keyword as well. Once complete, you can post compositions to Twitter, or use the native Messages app. Supposedly, documents can also be posted directly to your Tumblr account, but every attempt to do so during my testing ended with the app crashing, even after I had shut down both my iPhone and iPad and restarted them. And that’s a real shame, since Markdown-enabled writing allows you to create formatted texts that shine in Tumblr’s blog format. Despite this major drawback, WriteUp shines in most other ways. It’s useful and easy to use, and writers who want to compose short notes or long essays will find it nearly ideal. 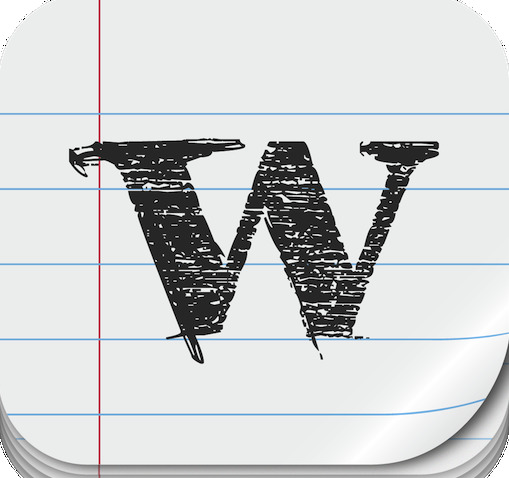 WriteUp is useful and easy to use, and writers who want to compose short notes or long essays will find it nearly ideal.